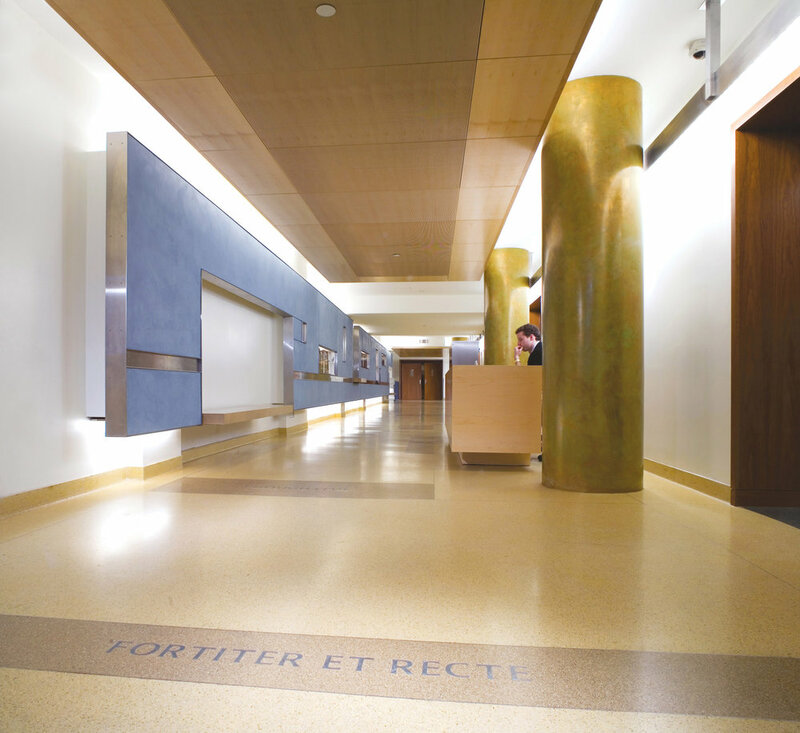 The renovation that was completed in 2006 was a transformation of the school facility from a collection of disparate spaces linked by confusing circulation to a complete and cognitive design. Moreover, it was a collaborative effort between school and architect to reaffirm the curriculum and fully express a school identity that was not supported by the existing facility. 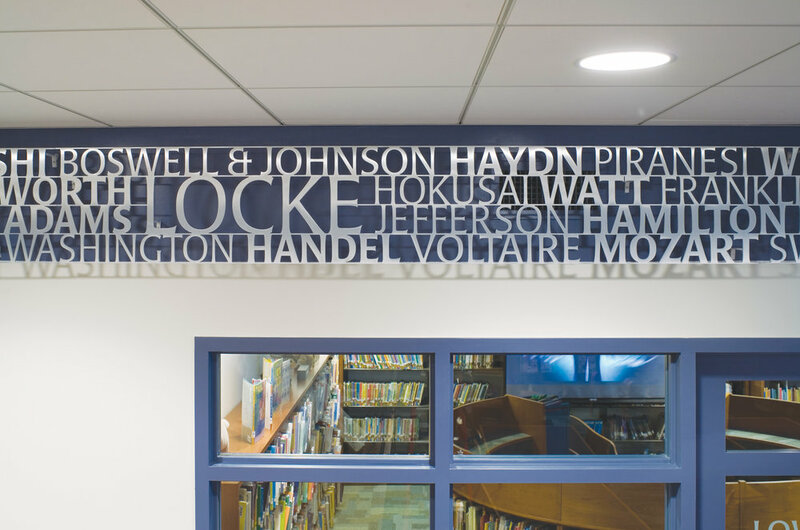 By inserting a strong circulation spine, PKSB radically reorganized the Allen-Stevenson School from an ad hoc collection of educational spaces located in five different structures into a coherent school plan. The new circulation was made possible by the insertion of six story rear yard addition that linked the various buildings which were located on two separate streets. Restructuring floors and bring them into alignment allowed for accessibility to a majority of the facility and opened the discussion for reorganizing the Grade Divisions. 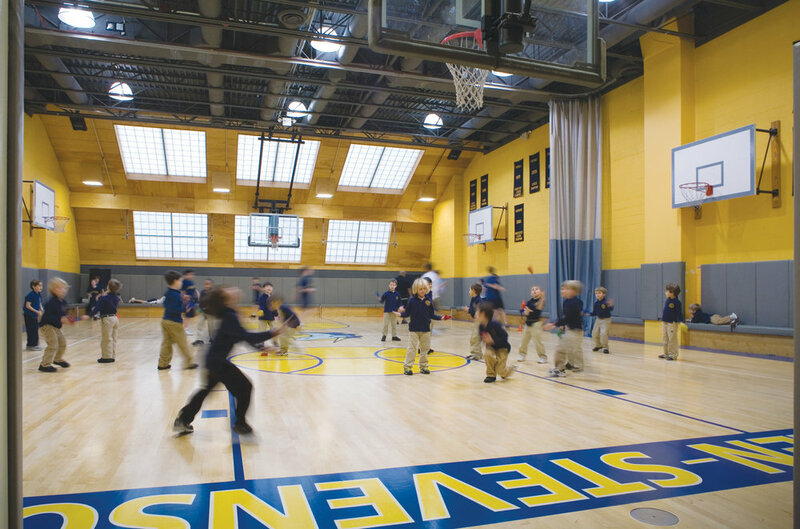 Each of the three school divisions Lower, Middle and Upper School are placed on separate floors with their own classrooms, offices, resource spaces and town centers. 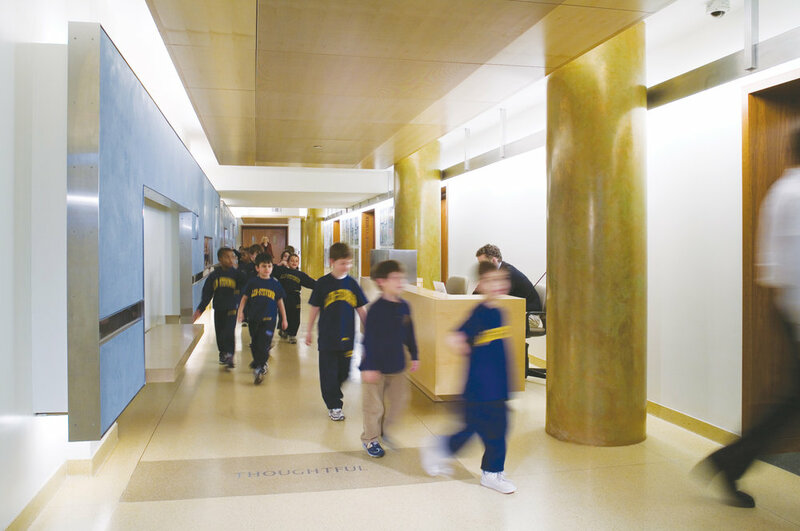 The Town Centers replace the twisted corridors and provide large open areas for use by the surrounding classrooms. The centers serve as multi-purpose areas where students can work in small groups outside the classroom or larger groups of several classes can meet for special programs. 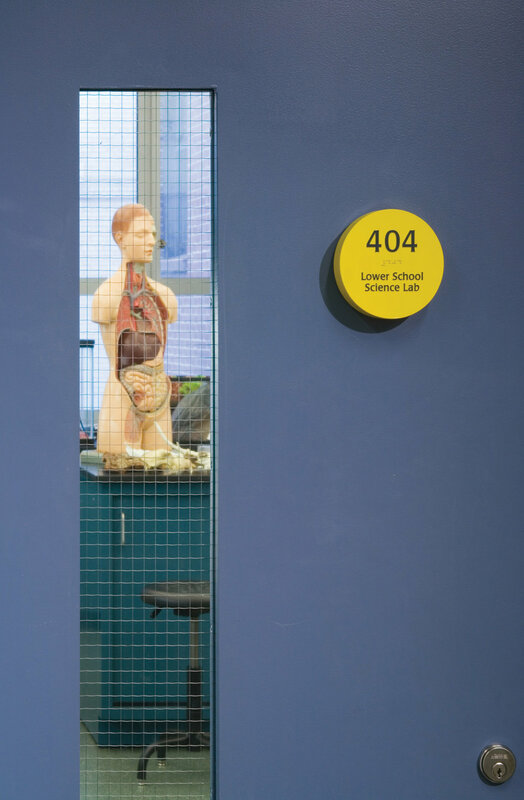 Always bustling with activity, the centers foster spontaneous interchanges between students and faculty and promote an integrated and collaborative learning environment. 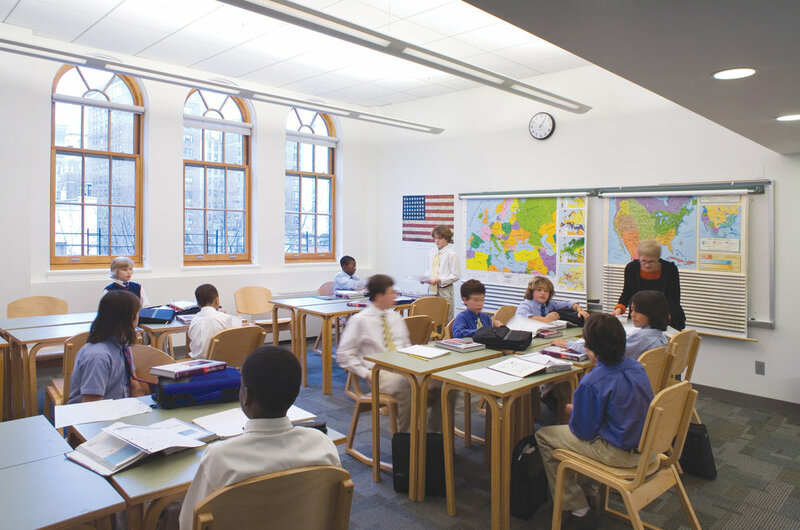 The private day school serves approximately 400 students ranging in age from kindergarten to grade 9. Located in the Upper East Side Historic district, the project required an extensive Landmarks Preservation Commission public review and approval. In cooperation with the school, a detailed phasing plan for construction allowed for virtually full occupancy throughout the construction period.